Somewhere in Iowa, a pig is being raised in a confined pen, packed in so tightly with other swine that their curly tails have been chopped off so they won't bite one another. To prevent him from getting sick in such close quarters, he is dosed with antibiotics. The waste produced by the pig and his thousands of pen mates on the factory farm where they live goes into manure lagoons that blanket neighboring communities with air pollution and a stomach-churning stench. He's fed on American corn that was grown with the help of government subsidies and millions of tons of chemical fertilizer. When the pig is slaughtered, at about 5 months of age, he'll become sausage or bacon that will sell cheap, feeding an American addiction to meat that has contributed to an obesity epidemic currently afflicting more than two-thirds of the population. And when the rains come, the excess fertilizer that coaxed so much corn from the ground will be washed into the Mississippi River and down into the Gulf of Mexico, where it will help kill fish for miles and miles around. That's the state of your bacon — circa 2009. Horror stories about the food industry have long been with us — ever since 1906, when Upton Sinclair's landmark novel The Jungle told some ugly truths about how America produces its meat. In the century that followed, things got much better, and in some ways much worse. The U.S. agricultural industry can now produce unlimited quantities of meat and grains at remarkably cheap prices. But it does so at a high cost to the environment, animals and humans. Those hidden prices are the creeping erosion of our fertile farmland, cages for egg-laying chickens so packed that the birds can't even raise their wings and the scary rise of antibiotic-resistant bacteria among farm animals. Add to the price tag the acceleration of global warming — our energy-intensive food system uses 19% of U.S. fossil fuels, more than any other sector of the economy. And perhaps worst of all, our food is increasingly bad for us, even dangerous. A series of recalls involving contaminated foods this year — including an outbreak of salmonella from tainted peanuts that killed at least eight people and sickened 600 — has consumers rightly worried about the safety of their meals. A food system — from seed to 7‑Eleven — that generates cheap, filling food at the literal expense of healthier produce is also a principal cause of America's obesity epidemic. At a time when the nation is close to a civil war over health-care reform, obesity adds $147 billion a year to our doctor bills. "The way we farm now is destructive of the soil, the environment and us," says Doug Gurian-Sherman, a senior scientist with the food and environment program at the Union of Concerned Scientists (UCS). Some Americans are heeding such warnings and working to transform the way the country eats — ranchers and farmers who are raising sustainable food in ways that don't bankrupt the earth. Documentaries like the scathing Food Inc. and the work of investigative journalists like Eric Schlosser and Michael Pollan are reprising Sinclair's work, awakening a sleeping public to the uncomfortable realities of how we eat. Change is also coming from the very top. First Lady Michelle Obama's White House garden has so far yielded more than 225 lb. of organic produce — and tons of powerful symbolism. But hers is still a losing battle. Despite increasing public awareness, sustainable agriculture, while the fastest-growing sector of the food industry, remains a tiny enterprise: according to the most recent data from the U.S. Department of Agriculture (USDA), less than 1% of American cropland is farmed organically. Sustainable food is also pricier than conventional food and harder to find. And while large companies like General Mills have opened organic divisions, purists worry that the very definition of sustainability will be co-opted as a result. But we don't have the luxury of philosophizing about food. With the exhaustion of the soil, the impact of global warming and the inevitably rising price of oil — which will affect everything from fertilizer to supermarket electricity bills — our industrial style of food production will end sooner or later. As the developing world grows richer, hundreds of millions of people will want to shift to the same calorie-heavy, protein-rich diet that has made Americans so unhealthy — demand for meat and poultry worldwide is set to rise 25% by 2015 — but the earth can no longer deliver. Unless Americans radically rethink the way they grow and consume food, they face a future of eroded farmland, hollowed-out countryside, scarier germs, higher health costs — and bland taste. Sustainable food has an élitist reputation, but each of us depends on the soil, animals and plants — and as every farmer knows, if you don't take care of your land, it can't take care of you. For all the grumbling you do about your weekly grocery bill, the fact is you've never had it so good, at least in terms of what you pay for every calorie you eat. According to the USDA, Americans spend less than 10% of their incomes on food, down from 18% in 1966. Those savings begin with the remarkable success of one crop: corn. Corn is king on the American farm, with production passing 12 billion bu. annually, up from 4 billion bu. as recently as 1970. When we eat a cheeseburger, a Chicken McNugget, or drink soda, we're eating the corn that grows on vast, monocrop fields in Midwestern states like Iowa. But cheap food is not free food, and corn comes with hidden costs. The crop is heavily fertilized — both with chemicals like nitrogen and with subsidies from Washington. Over the past decade, the Federal Government has poured more than $50 billion into the corn industry, keeping prices for the crop — at least until corn ethanol skewed the market — artificially low. That's why McDonald's can sell you a Big Mac, fries and a Coke for around $5 — a bargain, given that the meal contains nearly 1,200 calories, more than half the daily recommended requirement for adults. "Taxpayer subsidies basically underwrite cheap grain, and that's what the factory-farming system for meat is entirely dependent on," says Gurian-Sherman. So what's wrong with cheap food and cheap meat — especially in a world in which more than 1 billion people go hungry? A lot. For one thing, not all food is equally inexpensive; fruits and vegetables don't receive the same price supports as grains. A study in the American Journal of Clinical Nutrition found that a dollar could buy 1,200 calories of potato chips or 875 calories of soda but just 250 calories of vegetables or 170 calories of fresh fruit. With the backing of the government, farmers are producing more calories — some 500 more per person per day since the 1970s — but too many are unhealthy calories. Given that, it's no surprise we're so fat; it simply costs too much to be thin. Our expanding girth is just one consequence of mainstream farming. Another is chemicals. No one doubts the power of chemical fertilizer to pull more crop from a field. American farmers now produce an astounding 153 bu. of corn per acre, up from 118 as recently as 1990. But the quantity of that fertilizer is flat-out scary: more than 10 million tons for corn alone — and nearly 23 million for all crops. When runoff from the fields of the Midwest reaches the Gulf of Mexico, it contributes to what's known as a dead zone, a seasonal, approximately 6,000-sq.-mi. area that has almost no oxygen and therefore almost no sea life. Because of the dead zone, the $2.8 billion Gulf of Mexico fishing industry loses 212,000 metric tons of seafood a year, and around the world, there are nearly 400 similar dead zones. Even as we produce more high-fat, high-calorie foods, we destroy one of our leanest and healthiest sources of protein. The food industry's degradation of animal life, of course, isn't limited to fish. Though we might still like to imagine our food being raised by Old MacDonald, chances are your burger or your sausage came from what are called concentrated-animal feeding operations (CAFOs), which are every bit as industrial as they sound. In CAFOs, large numbers of animals — 1,000 or more in the case of cattle and tens of thousands for chicken and pigs — are kept in close, concentrated conditions and fattened up for slaughter as fast as possible, contributing to efficiencies of scale and thus lower prices. But animals aren't widgets with legs. They're living creatures, and there are consequences to packing them in prison-like conditions. For instance: Where does all that manure go? Pound for pound, a pig produces approximately four times the amount of waste a human does, and what factory farms do with that mess gets comparatively little oversight. Most hog waste is disposed of in open-air lagoons, which can overflow in heavy rain and contaminate nearby streams and rivers. "This creek that we used to wade in, that creek that our parents could drink out of, our kids can't even play in anymore," says Jayne Clampitt, a farmer in Independence, Iowa, who lives near a number of hog farms. To stay alive and grow in such conditions, farm animals need pharmaceutical help, which can have further damaging consequences for humans. Overuse of antibiotics on farm animals leads, inevitably, to antibiotic-resistant bacteria, and the same bugs that infect animals can infect us too. The UCS estimates that about 70% of antimicrobial drugs used in America are given not to people but to animals, which means we're breeding more of those deadly organisms every day. The Institute of Medicine estimated in 1998 that antibiotic resistance cost the public-health system $4 billion to $5 billion a year — a figure that's almost certainly higher now. "I don't think CAFOs would be able to function as they do now without the widespread use of antibiotics," says Robert Martin, who was the executive director of the Pew Commission on Industrial Farm Animal Production. The livestock industry argues that estimates of antibiotics in food production are significantly overblown. Resistance "is the result of human use and not related to veterinary use," according to Kristina Butts, the manager of legislative affairs for the National Cattlemen's Beef Association. But with wonder drugs losing their effectiveness, it makes sense to preserve them for as long as we can, and that means limiting them to human use as much as possible. "These antibiotics are not given to sick animals," says Representative Louise Slaughter, who is sponsoring a bill to limit antibiotic use on farms. "It's a preventive measure because they are kept in pretty unspeakable conditions." Such a measure would get at a symptom of the problem but not at the source. Just as the burning of fossil fuels that is causing global warming requires more than a tweaking of mileage standards, the manifold problems of our food system require a comprehensive solution. "There should be a recognition that what we are doing is unsustainable," says Martin. And yet, still we must eat. So what can we do? If a factory farm is hell for an animal, then Bill Niman's seaside ranch in Bolinas, Calif., an hour north of San Francisco, must be heaven. The property's cliffside view over the Pacific Ocean is worth millions, but the black Angus cattle that Niman and his wife Nicolette Hahn Niman raise keep their eyes on the ground, chewing contentedly on the pasture. Grass — and a trail of hay that Niman spreads from his truck periodically — is all the animals will eat during the nearly three years they'll spend on the ranch. That all-natural, noncorn diet — along with the intensive, individual care that the Nimans provide their animals — produces beef that many connoisseurs consider to be among the best in the world. But for Niman, there is more at stake than just a good steak. He believes that his way of raising farm animals — in the open air, with no chemicals or drugs and with maximum care — is the only truly sustainable method and could be a model for a better food system. "What we need in this country is a completely different way of raising animals for food," says Hahn Niman, a former attorney for the environmental group Earthjustice. "This needs to be done in the right way." The Nimans like to call what they do "beyond organic," and there are some signs that consumers are beginning to catch up. This November, California voters approved a ballot proposition that guarantees farm animals enough space to lie down, stand up and turn around. Worldwide, organic food — a sometimes slippery term but on the whole a practice more sustainable than conventional food — is worth more than $46 billion. That's still a small slice of the overall food pie, but it's growing, even in a global recession. "There is more pent-up demand for organic than there is production," says Bill Wolf, a co-founder of the organic-food consultancy Wolf DiMatteo and Associates. So what will it take for sustainable food production to spread? It's clear that scaling up must begin with a sort of scaling down — a distributed system of many local or regional food producers as opposed to just a few massive ones. Since 1935, consolidation and industrialization have seen the number of U.S. farms decline from 6.8 million to fewer than 2 million — with the average farmer now feeding 129 Americans, compared with 19 people in 1940. It's that very efficiency that's led to the problems and is in turn spurring a backlash, reflected not just in the growth of farmers' markets or the growing involvement of big corporations in organics but also in the local-food movement, in which restaurants and large catering services buy from suppliers in their areas, thereby improving freshness, supporting small-scale agriculture and reducing the so-called food miles between field and plate. That in turn slashes transportation costs and reduces the industry's carbon footprint. A transition to more sustainable, smaller-scale production methods could even be possible without a loss in overall yield, as one survey from the University of Michigan suggested, but it would require far more farmworkers than we have today. With unemployment approaching double digits — and things especially grim in impoverished rural areas that have seen populations collapse over the past several decades — that's hardly a bad thing. Work in a CAFO is monotonous and soul-killing, while too many ordinary farmers struggle to make ends meet even as the rest of us pay less for food. Farmers aren't the enemy — and they deserve real help. We've transformed the essential human profession — growing food — into an industry like any other. "We're hurting for job creation, and industrial food has pushed people off the farm," says Hahn Niman. "We need to make farming real employment, because if you do it right, it's enjoyable work." One model for how the new paradigm could work is Niman Ranch, a larger operation that Bill Niman founded in the 1990s, before he left in 2007. (By his own admission, he's a better farmer than he is a businessman.) The company has knitted together hundreds of small-scale farmers into a network that sells all-natural pork, beef and lamb to retailers and restaurants. In doing so, it leverages economies of scale while letting the farmers take proper care of their land and animals. "We like to think of ourselves as a force for a local-farming community, not as a large corporation," says Jeff Swain, Niman Ranch's CEO. Other examples include the Mexican-fast-food chain Chipotle, which now sources its pork from Niman Ranch and gets its other meats and much of its beans from natural and organic sources. It's part of a commitment that Chipotle founder Steve Ells made years ago, not just because sustainable ingredients were better for the planet but because they tasted better too — a philosophy he calls Food with Integrity. It's not cheap for Chipotle — food makes up more than 32% of its costs, the highest in the fast-food industry. But to Ells, the taste more than compensates, and Chipotle's higher prices haven't stopped the company's rapid growth, from 16 stores in 1998 to over 900 today. "We put a lot of energy into finding farmers who are committed to raising better food," says Ells. Bon Appétit Management Company, a caterer based in Palo Alto, Calif., takes that commitment even further. The company sources as much of its produce as possible from within 150 miles of its kitchens and gets its meat from farmers who eschew antibiotics. Bon Appétit also tries to influence its customers' habits by nudging them toward greener choices. That includes campaigns to reduce food waste, in part by encouraging servers at its kitchens to offer smaller, more manageable portions. (The USDA estimates that Americans throw out 14% of the food we buy, which means that much of our record-breaking harvests ends up in the garbage.) And Bon Appétit supports a low-carbon diet, one that uses less meat and dairy, since both have a greater carbon footprint than fruit, vegetables and grain. The success of the overall operation demonstrates that sustainable food can work at an institutional scale bigger than an élite restaurant, a small market or a gourmet's kitchen — provided customers support it. "Ultimately it's going to be consumer demand that will cause change, not Washington," says Fedele Bauccio, Bon Appétit's co-founder. How willing are consumers to rethink the way they shop for — and eat — food? For most people, price will remain the biggest obstacle. Organic food continues to cost on average several times more than its conventional counterparts, and no one goes to farmers' markets for bargains. But not all costs can be measured by a price tag. Once you factor in crop subsidies, ecological damage and what we pay in health-care bills after our fatty, sugary diet makes us sick, conventionally produced food looks a lot pricier. What we really need to do is something Americans have never done well, and that's to quit thinking big. We already eat four times as much meat and dairy as the rest of the world, and there's not a nutritionist on the planet who would argue that 24‑oz. steaks and mounds of buttery mashed potatoes are what any person needs to stay alive. "The idea is that healthy and good-tasting food should be available to everyone," says Hahn Niman. "The food system should be geared toward that." Whether that happens will ultimately come down to all of us, since we have the chance to choose better food three times a day (or more often, if we're particularly hungry). It's true that most of us would prefer not to think too much about where our food comes from or what it's doing to the planet — after all, as Chipotle's Ells points out, eating is not exactly a "heady intellectual event." But if there's one difference between industrial agriculture and the emerging alternative, it's that very thing: consciousness. Niman takes care with each of his cattle, just as an organic farmer takes care of his produce and smart shoppers take care with what they put in their shopping cart and on the family dinner table. The industrial food system fills us up but leaves us empty — it's based on selective forgetting. But what we eat — how it's raised and how it gets to us — has consequences that can't be ignored any longer. After four decades of hard work, the organic community has built up a $25 billion "certified organic" food, farming, and green products sector. This consumer-driven movement, under steady attack by the biotech and Big Food lobby, with little or no help from government, has managed to create a healthy and sustainable alternative to America's disastrous, chemical and energy-intensive system of industrial agriculture. Conscious of the health hazards of Big Food Inc., and the mortal threat of climate change and Peak Oil, a critical mass of organic consumers are now demanding food and other products that are certified organic, as well as locally or regionally produced, minimally processed, and packaged. The Organic Alternative, in turn, is bolstered by an additional $50 billion in annual spending by consumers on products marketed as "natural," or "sustainable." This rapidly expanding organic/green products sector--organic (4% of total retail sales) and natural (8%)--now constitutes more than 12% of total retail grocery sales, with an annual growth rate of 10-15%. Even taking into account what appears to be a permanent economic recession and a lower rate of growth than that seen over the past 20 years, the organic and natural market will likely constitute 31-56% of grocery sales in 2020. If the Organic Alternative continues to grow, and if consumers demand that all so-called "natural" products move in a genuine, third party-certified "transition to organic" direction, the U.S. will be well on its way to solving three of the nation's most pressing problems: climate change, deteriorating public health, and Peak Oil. Sales statistics and polls underline the positive fact that a vast army of organic consumers, more than 75 million Americans, despite an economic recession, are willing to pay a premium price for organic and green products. These consumers are willing to pay a premium because they firmly believe that organic and natural products are healthier, climate stabilizing, environmentally sustainable, humane for animals, and well as more equitable for family farmers, farmworkers, and workers throughout the supply chain. Many of the most committed organic consumers are conscious of the fact that organic food and other products are actually "cheaper" in real terms than conventional food and other items-since industrial agriculture's so-called "cheap" products carry hidden costs, including billions of dollars in annual tax subsidies, and hundreds of billions of dollars in damage to our health, the environment, and climate. Strengthening the argument for organic food and farming, scientists now tell us that it will take a massive conversion to organic agriculture (as well as renewable energy, sustainable housing and transportation) to drastically reduce climate-destabilizing greenhouse gases in the atmosphere to 350 parts per million and to cope with the advent of "Peak Oil," the impending decline in petroleum and natural gas supplies. Organic food and a healthy diet and lifestyle are obviously key factors in preventing chronic disease, restoring public health, and reducing out-of-control health care costs. While in 1970, U.S. health care spending appeared somewhat sustainable, totaling $75 billion, the Centers for Medicare and Medicaid Services project that by 2016, health care spending will soar to over $4.1 trillion, or $12,782 per resident. Likewise millions of green-minded consumers understand that industrial agriculture poses a terminal threat to the environment and climate stability. A highly conscious and passionate segment of the population are beginning to understand that converting to non-chemical, energy-efficient, carbon-sequestering organic farming practices, and drastically reducing food miles by relocalizing the food chain, are essential preconditions for stabilizing our out-of-control climate and preparing our families and communities for Peak Oil and future energy shortages. Decades of research confirm that organic agriculture produces crop yields that are comparable (under normal weather conditions) or even 50-70% superior (during droughts or excessive rain) to chemical farming. Nutritional studies show that organic crops are qualitatively higher in vitamin content and trace minerals, and that fresh unprocessed organic foods boost the immune system and reduce cancer risks. And, of course climate scientists emphasize that organic agriculture substantially reduces greenhouse pollution. Organic farms use, on the average, 50% or less petroleum inputs than chemical farms, while generating drastically less greenhouse gases such as methane and nitrous oxide. Moreover diverse, multi-crop organic farms sequester enormous amounts of CO2 in the soil. Agronomists point out that a return to traditional organic farming practices across the globe could reduce greenhouse gas pollution by 40%. In other words, America and the world desperately need an Organic Revolution in food and farming, not only to salvage public health and improve nutrition, but also in order to literally survive in the onrushing era of Peak Oil and climate change. Scientists, as well as common sense, warn us that a public health Doomsday Clock is ticking. Within a decade, diet and environment-related diseases, including obesity, diabetes, heart disease, and cancer-heavily subsidized under our Big Pharma/chemical/genetically engineered/factory farm system-will likely bankrupt Medicare and the entire U.S. health care system. Likewise, climate chaos and oil shortages, unless we act quickly, will soon severely disrupt industrial agriculture and long-distance food transportation, leading to massive crop failures, food shortages, famine, war, and pestilence. Even more alarming, accelerating levels of greenhouse gases (especially from cars, coal, cattle, and related rainforest and wetlands destruction) will soon push global warming to a tipping point that will melt the polar icecaps and unleash a cataclysmic discharge of climate-destabilizing methane, fragilely sequestered in the frozen arctic tundra. If we care about our children and the future generations, we obviously must reverse global warming, stabilize the climate, and prepare for petroleum shortages and vastly higher oil prices. The only way to do this is to reduce greenhouse gas pollution by 90% by 2050, by shifting away from petroleum and coal-based energy to radical energy conservation and making a transition to renewable solar and wind power-not only in transportation, housing, and industry, but in farming, food processing, and food distribution as well. In the food sector, we cannot continue to hand over 88% of our consumer dollars to out-of-control, chemical-intensive, energy-intensive, greenhouse gas polluting corporations and "profit at any cost" retail chains such as Wal-Mart. The growth of the Organic Alternative is literally a matter of survival. The question then becomes how (and how quickly) can we move healthy, organic, and "natural" products from a 12% market share, to becoming the dominant force in American food and farming. This is a major undertaking, one that will require a major transformation in public consciousness and policy, but it is doable, and absolutely necessary. But before we overthrow Monsanto, Wal-Mart, and Food Inc., we need to put our own house in order. Before we set our sights on making organic and "transition to organic" the norm, rather than the alternative, we need to take a closer, more critical look at the $50 billion annual natural food and products industry. How natural is the so-called natural food in our local Whole Foods Market, coop, or grocery store? Is the "natural" sector moving our nation toward an organic future, or has it degenerated into a "green washed" marketing tool, disguising unhealthy and unsustainable food and farming practices as alternatives. Is "natural" just a marketing ploy to sell conventional-unhealthy, energy-intensive, and non-sustainable food and products at a premium price? Walk down the aisles of any Whole Foods Market (WFM) or browse the wholesale catalogue of industry giant United Natural Foods (UNFI) and look closely. What do you see? Row after row of attractively displayed, but mostly non-organic "natural" (i.e. conventional) foods and products. By marketing sleight of hand, these conventional foods, vitamins, private label "365" items, and personal care products become "natural" or "almost organic" (and overpriced) in the Whole Foods setting. The overwhelming majority of WFM products, even their best-selling private label, "365" house brand, are not organic, but rather the products of chemical-intensive and energy-intensive farm and food production factories. Test these so-called natural products in a lab and what will you find: pesticide residues, Genetically Modified Organisms, and a long list of problematic and/or carcinogenic synthetic chemicals and additives. Trace these products back to the farm or factory and what will you find: climate destabilizing chemical fertilizers, pesticides, fungicides, herbicides, and sewage sludge-not to mention exploited farm workers and workers in the food processing industry. Of course there are many products in WFM (and in UNFI's catalogue} that bear the label "USDA Organic." But the overwhelming majority of their products, even their best selling private label, "365," are not. 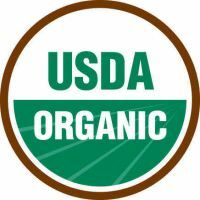 What does certified organic or "USDA Organic" mean? This means these products are certified 95-100% organic. Certified organic means the farmer or producer has undergone a regular inspection of its farm, facilities, ingredients, and practices by an independent Third Party certifier, accredited by the USDA National Organic Program (NOP). The producer has followed strict NOP regulations and maintained detailed records. Synthetic pesticides, animal drugs, sewage sludge, GMOs, irradiation, and chemical fertilizers are prohibited. Farm animals, soil, and crops have been managed organically; food can only be processed with certain methods; only allowed ingredients can be used. On the other hand, what does "natural" really mean, in terms of farming practices, ingredients, and its impact on the environment and climate? To put it bluntly, "natural," in the overwhelming majority of cases is meaningless, even though most consumers do not fully understand this. Natural, in other words, means conventional, with a green veneer. Natural products are routinely produced using pesticides, chemical fertilizer, hormones, genetic engineering, and sewage sludge. Natural or conventional products-whether produce, dairy, or canned or frozen goods are typically produced on large industrial farms or in processing plants that are highly polluting, chemical-intensive and energy-intensive. "Natural," "all-natural," and "sustainable," products in most cases are neither backed up by rules and regulations, nor a Third Party certifier. Natural and sustainable are typically label claims that are neither policed nor monitored. (For an evaluation of eco-labels see the Consumers Union website http://www.eco-labels.org). The USDA's Food Safety and Inspection Service provides loose, non-enforced guidelines for the use of the term "natural" on meat--basically the products cannot contain artificial flavors, coloring, or preservatives and cannot be more than minimally processed. On non-meat products, the term natural is typically pure propaganda. Companies (like Whole Foods Market or UNFI) are simply telling us what we want to hear, so that we pay an organic or premium price for a conventional product. Perhaps this wouldn't matter that much if we were living in normal times, with a relatively healthy population, environment, and climate. Conventional products sold as natural or "nearly organic" would be a simple matter of chicanery or consumer fraud. But we are not living in normal times. Pressuring natural and conventional products and producers to make the transition to organic is a matter of life or death. And standing in the way of making this great transition are not only Fortune 500 food and beverage corporations, Monsanto, and corporate agribusiness, as we would expect, but the wholesale and retail giants in the organic and natural products sector, UNFI (United Natural Foods) and Whole Foods Market (WFM). UNFI and Whole Foods Market are the acknowledged market and wholesale distribution leaders in the $70 billion organic and natural foods and products sector. Companies or brands that want to distribute their products on more than just a local or regional basis must deal with the near-monopoly wholesaler, UNFI, and giant retailer WFM. Meanwhile retailers in markets dominated by Whole Foods have little choice but to emulate the business practices of WFM-i.e. sell as many conventional foods, green washed as "natural," as possible. Unfortunately neither UNFI and Whole Foods are putting out the essential message to their millions of customers that expanding organics is literally a matter of life or death for public health, climate, and the environment. Neither are leading the charge to double or triple organic food and farming sales by exposing the myth of natural foods, giving preference to organic producers and products, and pressuring natural brands and companies to make the transition to organic. Neither are the industry giants lobbying the government to stop nickel and dime-ing organics and get serious about making a societal transition to organic food and farming. The reason for this is simple: it is far easier and profitable for UNFI and WFM to sell conventional or so-called natural foods at a premium price, than it is to pay a premium price for organics and educate consumers as to why "cheap" conventional/natural food is really more expensive than organic, given the astronomical hidden costs (health, pollution, climate destabilization) of conventional agriculture and food processing. UNFI has cemented this "WFM/Conventional as Natural" paradigm by emulating conventional grocery store practices: giving WFM preferential prices over smaller stores and coops-many of whom are trying their best to sell as many certified organic and local organic products as possible. Compounding this undermining of organics is the increasing practice among large organic companies of dropping organic ingredients in favor of conventional ingredients, while maintaining their preferential shelf space in WFM or UNFI-supplied stores. In other words the most ethical and organic (often smaller) grocers and producers are being discriminated against. WFM also demands, and in most cases receives, a large quantity of free products from producers in exchange for being distributed in WFM markets. The unfortunate consequence of all this is that it's very difficult for an independently-owned grocer or a coop trying to sell mostly organic products to compete with, or even survive in the same market as WFM, given the natural products "Sweetheart Deal" between UNFI and WFM. As a consequence more and more independently owned "natural" grocery stores and coops are emulating the WFM model, while a number of brand name, formerly organic, companies are moving away from organic ingredients (Silk soy milk, Horizon, Hain, and Peace Cereal for example) or organic practices (the infamous intensive confinement dairy feedlots of Horizon and Aurora) altogether, while maintaining a misleading green profile in the UNFI/WFM marketplace. Other companies, in the multi-billion dollar body care sector for example, are simply labeling their conventional/natural products as "organic" or trade-marking the word "organic" or "organics" as part of their brand name. The bottom line is that we must put our money and our principles where our values lie. Buy Certified Organic, not so-called natural products, today and everyday. And tell your retail grocer or coop how you feel. Click here and please join thousands of other Organic Consumers and send a message to Whole Foods and UNFI! As President of Farm Aid, I'd like to take this opportunity to whole-heartedly congratulate you on your historic victory. I'd also like to offer you every resource that Farm Aid has available to assist you in creating a new farm and food policy that supports a sustainable family farm system of agriculture. I started Farm Aid in 1985 when family farmers were being forced off their land as a result of federal policy that paved the way for industrial agriculture. This shift replaced independent family farmers with factory farms that have wreaked havoc on our communities, our environment and our public health. There is broad agreement that our farm and food system needs to be drastically reworked. The good news is that the work of building an alternative to the industrial food system is well underway and Farm Aid is proud to have been a leader in this work, something we call the Good Food Movement. The Good Food Movement has grown and thrived almost entirely without the support of the federal government. However, now is the right moment for the leadership of our country to take a role in this important movement. In fact the future of our economy, our environment and our health demand it. Our family farmers are a national resource with incredible potential to be the protagonists in solving the challenges we currently face. Family farmers are on the cutting edge of thriving local food systems and economies, alternative energy production and environmental stewardship. Family farmers are marketing the fruits of their labor close-to-home at farm stands, farmers markets and Community Supported Agriculture programs (CSAs), helping local money to circulate in local communities where it can do the most good. Family farmers are growing green energy and harnessing the power of the sun and wind. They are transitioning to sustainable production methods to grow food that is good for our health and our planet. These steps are strengthening our local economies, reducing our reliance on fossil fuels, protecting our natural resources and increasing our national security. As the national organization working on behalf of family farmers for the last 23 years, Farm Aid has helped family farmers stay on the land, organized communities to fight factory farms in their own backyards, and educated eaters about the choices they can make to guarantee healthy, fresh food from family farms. Over our history, we have grown, partnered with, and sustained a network of more than four hundred grassroots farm and food organizations across the nation. As you begin to implement programs to support a family farm system of agriculture, Farm Aid and our vast resource network is here to work with you. Now is the time for our country to recognize and call on family farmers' ingenuity, strength and value to our past and our future. We can have strong local economies, green energy, a clean environment, healthy citizens and good food—all of these start with family farmers. I look forward to working with you to make this vision of a family farm system of agriculture a reality.